Experimental investigations have shown that the use of lasers and above all the use of CO2-laser at certain stages of pancreatic resection is one of the ways of perfection of pancreatic surgery. 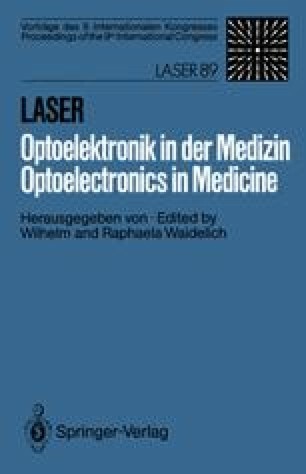 There are a number of reports in medical literature concerning the clinical use of laser. But these reports are very few (1, 2, 3). By 1989 the total number of pancreatic resections with the use of CO2-laser was. 28 according to bibliography. It gives no opportunity to reveal characteristic features of such operations, there is no detailed description of the methods of laser pancreatic resection as well as the course of postoperative period which prevents the use of laser resection methods in surgery in general.